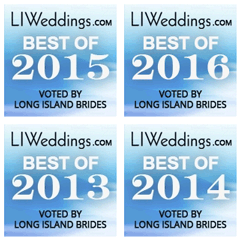 Long Island Limousine Service………How can we drive you today? 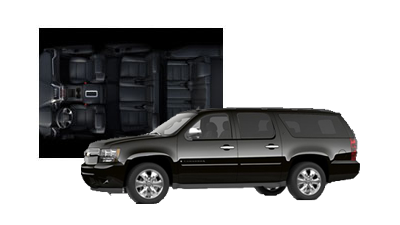 Tran-Star Executive provides the safest, most dependable and affordable airport transportation. Our reservation center is open 24 hours a day 365 days a year, so no matter what time you call you will always speak with a highly trained professional who can answer any questions you have. Whether you have one corporate executive or a group of 2,000 colleagues that are arriving on any number of flights across multiple cities and airports let Tran-Star's experienced personnel handle all of the details, no matter where your travels may take you worldwide. Congratulations! You have made one of the most important decisions of your life, to get married. 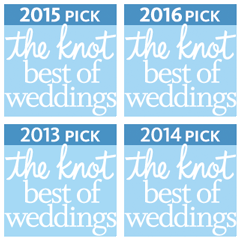 You will work with your own dedicated wedding concierge who will walk you step by step through the wedding process and make sure that even the most minor detail is met. Amidst the endless romantic vines and beautiful fields, you'll discover the hidden gems of Long Island's wine country. We can arrange a fully customized wine tour for either the north fork or the south fork, or we can just provide you with the most luxurious vehicle to suit your needs. Whether you are looking to relax with some friends, or you would like to have a romantic night on the town with a loved one at one of New York's fine restaurants, attractions, or night clubs we have the perfect vehicle for you! Arrive safely and in style everywhere you go! Regardless of where your travels may take you or the nature of your ground transportation needs, you can always count on Tran-Star Executive for brand new vehicles driven by trained professionals. We offer first class service in over 500 cities worldwide. We invite you to take a ride! Tran-Star Executive is proud of our strategic partnership with the NY Islanders and The Long Island Marriott Hotel & Conference Center, to provide quality, dependable, cost effective limousine and transportation services to all of our corporate and personal clients. Call us now (631) 243-3800 to hear how this relationship helps us help you! 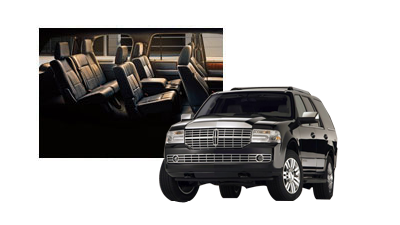 The Lincoln MKT Town Car is a sleek and extremely stylish vehicle offering a host of luxury features for a superbly comfortable, relaxing, and luxurious travel experience. In addition to being higher than the standard vehicle, which allows for easier exit and entry, it offers additional luxurious touches. This includes leather recliners for an even greater level of comfort, plenty of interior legroom, inbuilt device connectivity, and rear seat controls for your ease and convenience. All of these features make this the perfect vehicle for those who want to combine style and luxury with comfort and practicality. 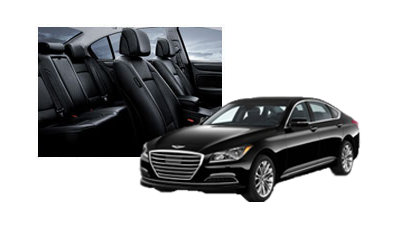 If you're looking for a smooth ride in a sleek, stylish, and luxurious vehicle, the Genesis is the ideal choice. This is the perfect car for those who want to travel in comfort and style, making it perfect for everything from getting to that important business meeting to getting to or from the airport feeling relaxed and rejuvenated. With its plush leather seating and pristine interior, you can kick back and enjoy the ride in this vehicle, which is reminiscent of a Mercedes Benz Sedan. This is a truly sophisticated vehicle that will make travelling to or from your destination a real pleasure and a very relaxing experience. With all of these benefits, this vehicle will prove ideal for a diverse range of needs and provides an affordable yet stylish option. If you're looking for a smooth ride in a sleek, stylish, and luxurious vehicle, this is the ideal choice. This is the perfect car for those who want to travel in comfort and style, making it perfect for everything from getting to that important business meeting to getting to or from the airport feeling relaxed and rejuvenated. With its plush leather seating and pristine interior, you can kick back and enjoy the ride in this vehicle. This is a truly sophisticated vehicle that will make travelling to or from your destination a real pleasure and a very relaxing experience. The Genesis G90 is a sleek and extremely stylish vehicle offering a host of luxury features for a superbly comfortable, relaxing, and luxurious travel experience. In addition to being higher than the standard vehicle, which allows for easier exit and entry, it offers additional luxurious touches. This includes leather recliners for an even greater level of comfort, plenty of interior legroom, inbuilt device connectivity, and rear seat controls for your ease and convenience. Whether you are heading off on a glamorous evening out or whether you have a special event or occasion to attend, having a luxury vehicle to travel in can make your night all the more special. If you are going out as part of a relatively small group of 8 or under this could be the perfect solution to adding glamour to your evening. 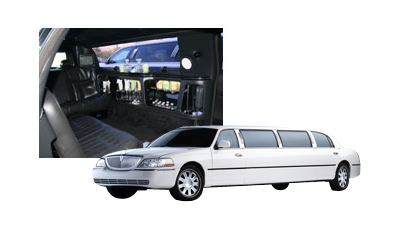 With plush comfort to look forward to inside the vehicle coupled with the stylish and sleek design of the exterior, you will feel like a celebrity as you arrive at your destination in this fabulous limo. 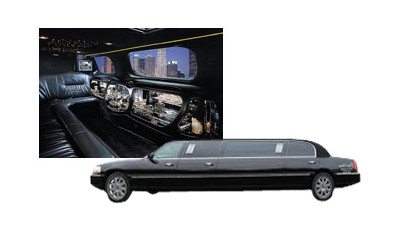 You can look forward to a host of entertainment onboard when you choose this limo as well as the great atmosphere that is created by everything from the music system through to the lighting. Plus, of course, there is the vibrant bar area for those who want to chill with a drink. If you want to arrive in real style, this is the perfect vehicle to choose. The 1960 Bentley S2 was ahead of its time in styling and power. At the time when Rolls Royce produced this vehicle it was exactly the same as the Rolls Royce Silver Cloud II, however, the front grill and emblem were the only differences. This classic vehicle is one of our most popular limousines for hire and the perfect choice for transporting a bride and groom to and from their wedding. It not only adds an unparalleled touch of style and elegance to this very important occasion but also makes for special memories. In addition to weddings this vehicle is perfect for Anniversaries, Birthdays or any other special occasion. 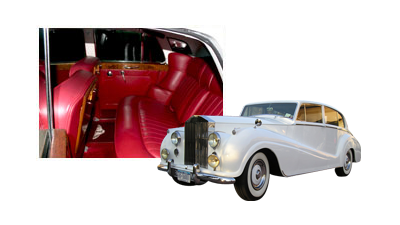 Reserve your luxury Bentley / Rolls Royce Silver Cloud II today and arrive in style! As timeless as a vehicle can get, the Rolls Royce design was made with aerodynamics in mind and was one of the most sophisticated vehicles in its time. If you're travelling as part of a small group of up to7 people, this luxury SUV is the perfect choice of vehicle. You can look forward to relaxing in luxurious surroundings as you enjoy the ride, and if you have lots of luggage you can rest assured that there will be plenty of room inside to accommodate your needs. You can enjoy the opportunity to relax in comfort as you make the most of the spacious interior and the stylish design of this vehicle. Whether you're travelling to meetings or events, travelling to or from the airport, or have another destination in mind, you can be certain that this vehicle will get you there in true style and comfort. This is an all-wheel SUV that can handle the elements, so no matter what the weather you will arrive at your destination safely and on time. Add to this the stylish, sleek design of this vehicle and you can see why this has become such a popular choice for those looking for practicality and luxury. If you're travelling as part of a small group of up to 7 people, the luxury SUV is the perfect choice of vehicle. You can look forward to relaxing in luxurious surroundings as you enjoy the ride, and if you have lots of luggage you can rest assured that there will be plenty of room inside to accommodate your needs. You can enjoy the opportunity to relax in comfort as you make the most of the spacious interior and the stylish design of this vehicle. Whether you're travelling to meetings or events, travelling to or from the airport, or have another destination in mind, you can be certain that this vehicle will get you there in true style and comfort. This is an all-wheel SUV that can handle the elements, so no matter what the weather you will arrive at your destination safely and on time. Our specially converted vans allow for easy walk on entry, a panoramic view from all positions, and separate extra luggage space . The Luxury Van seating is for up to 12 passengers. Perfect for business trips, meetings and outings as well as family travel and fun! You can ensure that everyone in your large group gets to travel in comfort when you choose this vehicle for your large group transportation needs. Our brand new Sprinter allows for easy walk on entry, a panoramic view from all positions, and a huge separate extra luggage compartment . The Sprinter seats is for up to 10 passengers comfortably. 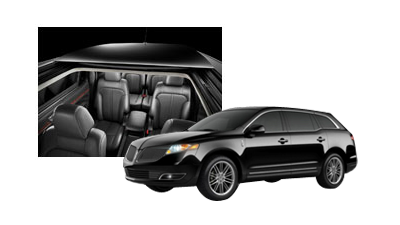 Perfect for business trips, meetings and outings, airport transportation as well as family travel and fun! 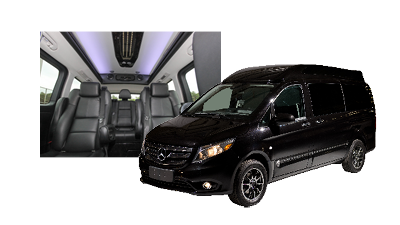 Our brand new Sprinter Limousine allows for easy walk on entry, a panoramic view from all positions, and a separate extra luggage compartment . The Sprinter seats is for up to 13 passengers comfortably. 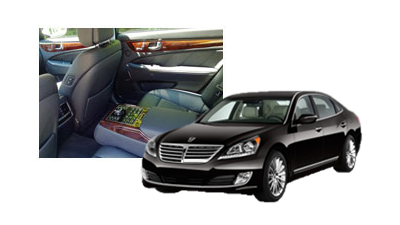 Perfect for business trips, meetings and outings, airport transportation as well as family travel and fun! 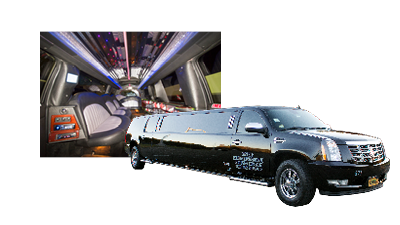 When it comes to booking a rock star vehicle for a larger group of people, you will find that a hummer is the perfect choice. This luxury vehicle is perfect for those who want to travel in comfort, immerse themselves in luxury, and arrive in style. There are all sorts of features that come with this vehicle and these help to make it the perfect choice for all sorts of occasions such as party nights, glamorous evenings out, and other special occasions that need that final finishing touch. With its ambient lighting, the ultimate in onboard entertainment, device connectivity, and bar area, this is a vehicle that provides you with a party on wheels for your special night. When you use the hummer for your special night out you and your companions will enjoy sampling the rock star lifestyle in your very own limo. When you use the navigator for your special night out you and your companions will enjoy sampling the rock star lifestyle in your very own limo. When you are transporting a smaller group to a venue or event, it is important to choose the right transportation in order to ensure their comfort and to make sure that the group size is catered for. If you want to benefit from a vehicle that is comfortable, reliable, aesthetically appealing, and ideal for smaller groups the 17 Passenger Mini Bus is the perfect choice. This is a vehicle that is not only perfect for larger groups but also ideal when it comes to ensuring the comfort of your group. Whether you are arranging a corporate event, a school outing, or any other event that involves transporting a larger group of people, this vehicle is the perfect choice. DVD/TV loaded with 65 Movies! With this vehicle you can ensure that your group not only gets to travel together on one vehicle but also gets to travel in comfort. There are various forms of transportation that you can choose to transport a larger group of people to a particular venue or event. If you are looking to create a fun, exciting, vibrant party atmosphere then the perfect solution is a party on wheels, otherwise known as the party bus. 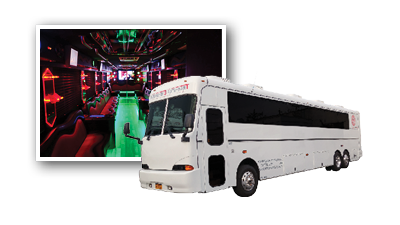 The 48 passenger party bus is perfect for larger groups who want to get the party started early. With many facilities and amenities onboard, you can start enjoying the atmosphere early on. For larger groups this is the ideal transportation option, as it houses a range of state of the art technology to ensure you have a trip to remember. Not only is this party perfect for partying but it is also ideal for business meetings on the move or other events and activities. If you're arranging travel to a particular event, venue, or occasion for a large group, one thing you will need to sort out is suitable transport. This means finding a vehicle that can cater for a larger group but can also provide comfort and reliability at an affordable price. The 56 Passenger Coach Bus is the perfect option, as it offers plenty of space, luxurious reclining seats for comfort, onboard entertainment facilities, and plenty of room for luggage. In addition to the spacious interior and comfort, you can also look forward to the luxury design of these coaches, which are ideal for corporate and school events as well as for private ones. When you are transporting a larger group to a venue or event, it is important to choose the right transportation in order to ensure their comfort and to make sure that the group size is catered for. 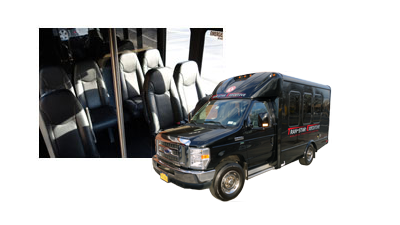 If you want to benefit from a vehicle that is comfortable, reliable, aesthetically appealing, and ideal for large groups the 32 Passenger Shuttle Bus is the perfect choice. This is a vehicle that is not only perfect for larger groups but also ideal when it comes to ensuring the comfort of your group. 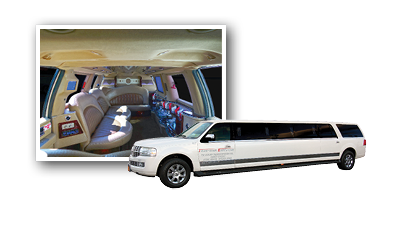 Whether you are arranging a corporate event, a school outing, or any other event that involves transporting a larger group of people, this vehicle is the perfect choice. With this vehicle you can ensure that your large group not only gets to travel together on one vehicle but also gets to travel in comfort. If you're travelling as part of a small group of up to 6 people, the Mercedes Benz Metris is the perfect choice of vehicle. You can look forward to relaxing in luxurious surroundings as you enjoy the ride. You can enjoy the opportunity to relax in comfort as you make the most of the spacious interior and the stylish design of this vehicle. Whether you're travelling to meetings or events, travelling to or from the airport, or have another destination in mind, you can be certain that this vehicle will get you there in true style and comfort.